Tocal’s horse stables were home to some of Australia’s most famous thoroughbred sires, including Goldsborough and The Drummer. Between them, they amassed a huge amount of prize-money for the Reynolds. Goldsborough sired countless mares and fillies. He died in 1903. The already substantial stables are reinforced with bolts on the doors and secure windows. These high security measures are an indication of the value of the stock they once housed. 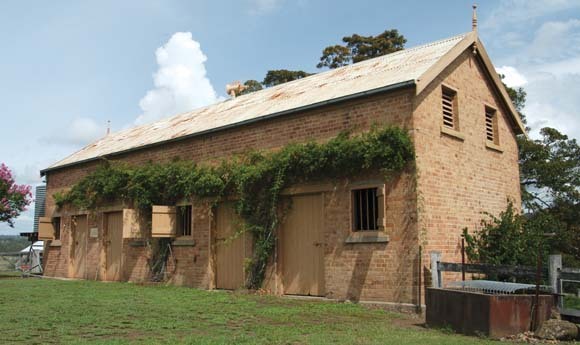 The Alexanders brought electricity to the property in 1927 when they installed a Lister generator in the end stable and converted the adjacent stable to hold 60 batteries for power storage. Charles Alexander told friends that the system had the ability to generate and store enough power to run the Homestead for one month, including the operation of the lift.